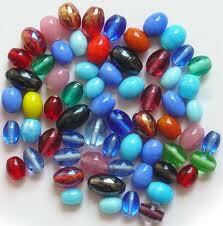 Bead making has become a very profitable venture in our society today. If you have taken your time to look around, especially on wedding, burial or naming ceremonies, you will notice different designs of beads especially on the ladies. The beads come in different colours, shapes and sizes. Beads are usually worn for beautification and fashion purposes especially by ladies. Some beads are even worn for ritual purposes by some traditionalist. Bead making in the last decade has experienced a market boom because of the paradigm shift in fashion style amongst the ladies. Beads have gradually replaced gold and silver necklaces and bangles, and more and more designs are created almost on a daily basis. Beads could be traditional beads, cooperate beads or casual beads. Traditional beads are those beads worn in traditional ceremonies like traditional weddings, burial ceremonies, village meetings and traditional festivals. Cooperate Beads are those beads that can be worn to offices. They are usually very simple with mild colours. WHAT CAN YOU MAKE WITH BEADS? There are a lot of things that can be made with beads, and new discoveries are springing up everyday. I was on my way to a friends place last Xmas, and i saw a “Father Christmas” made with beads. So you can believe with me that the opportunities in bead making are endless. Here are some things that can be done with beads. Please feel free to drop a comment in the comment box if I am omitting something. These materials can easily be gotten in any bead shop. So you can do a market survey to find out their prices in your area. If you are truly serious about learning bead-making, just ask around in your area, and you will find bead-making and training outfits where you can learn bead making. I will compile a list of Bead making Training outfits across Nigeria in my next post. Please subscribe to my blog if you don’t want to miss my next post.